Why a charity bowling bash? 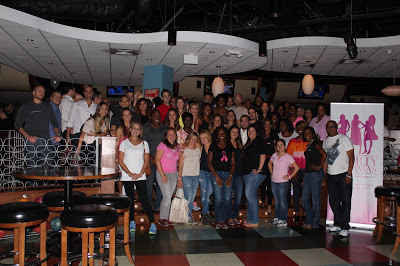 In 2013, I planned the first Sporty Mommas Charity Bowling Bash in honor of my Auntie Karen Pendergrass that was diagnosed with breast cancer at age 32 and passed away at 39. She was a beautiful wife and mother of two very active boys (now men). While battling this disease she never skipped a beat or even let most of us know that she was fighting cancer. Her beauty, strength and love for others especially her sons, resembled a true Sporty Momma. On September 30th join us as we raise funds to not only fight this disease but help those that need our support. To purchase tickets or make a donation click here!